Thank you for visiting these Silence Sayings and Quotes. I hope you find value in these Quotes and Sayings about Silence from my large collection of Inspirational Sayings. but slaves of those we let slip out. but when silence is not understood. Silences make the real conversations between friends. Not the saying but the never needing to say is what counts. 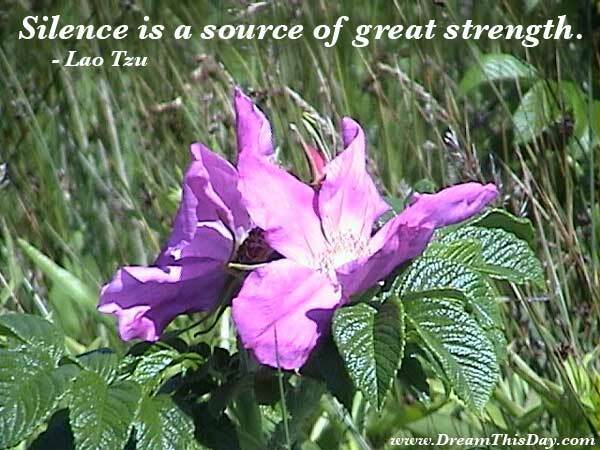 Thank you for visiting: Silence Sayings - Silence Quotes - Sayings about Silence.